My mother passed away this morning at the age of 87. She had suffered with Parkinson’s disease for 30 years. The timing of her death is striking because she passed on the day of the debut of Moving Day® San Francisco. Moving Day® is the National Parkinson Foundation’s walk/run event that unites families, friends and communities in the fight against Parkinson’s disease. I had intended to go the walk today. Instead, my brothers, sister, her grandchildren, her great-grandchildren, and I are grieving for our mother whose life was so compromised by Parkinson’s disease. She was brave and faced the years of tremor and medication with an astounding strength. 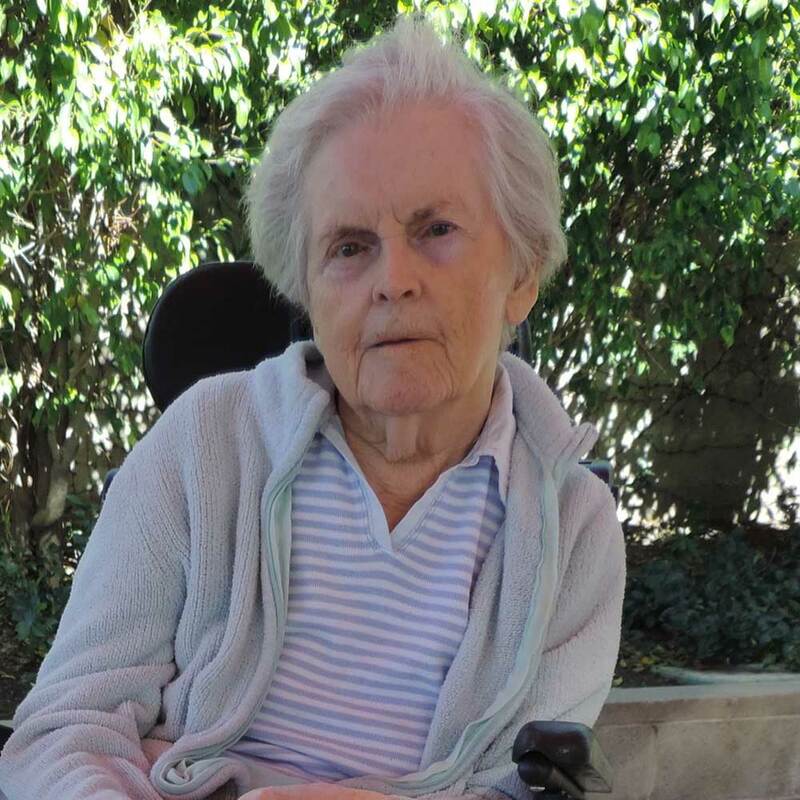 In spite of the overriding intrusion of limited physical capability and a dwindling ability to speak and swallow, she courageously carried on with every last drop of her ability to volunteer for the Cancer Society and to maintain a life of dignity. She lived in a wheelchair during her last years in a nursing home. She had a keen wit up until the end, but she was unable to communicate with us. Her throat muscles had given up, and her speaking muscle memory, and later her swallowing were gone. She was dearly loved and will be missed by her four living children, 11 grandchildren, and 7 great-grandchildren. Now it is time for me to carry on for my mother because I have Parkinson’s disease. On Saturday, April 25, we will celebrate movement at Moving Day® Silicon Valley in San Jose at Arena Green East. We will walk together and enjoy the movement pavilion that focuses on specialized exercise for people with Parkinson’s disease. Most dear to my heart is the Praise for Parkinson’s Pioneers ceremony that will acknowledge researchers for their contribution to neuroscience. “People who move change the world®,” is the motto of the National Parkinson Foundation. The people dedicated to neuroscience and treatment of Parkinson’s disease are our hope for a change. My heart reaches out to you. What a lovely tribute to your mother! Perhaps I’ll meet you Sat. at Moving Day Silicon Valley. My daughter also is part of the Support group, and I’m walking on her Team Garvey. I always enjoy and learn from your posts. Thank you for telling the story of your courageous mother. Thanks Darcy for sharing your story about your mom. I remember you talking about her. Also, looking forward to walking Saturday, and to know will all be there wearing our white and green t-shirts, being proud of our courageous step by step in fighting this disease We are strong together!!!!Charlie. Darcy, my condolences. What a story! You are carrying on wonderfully!